Plum â€“ your money's best friend. 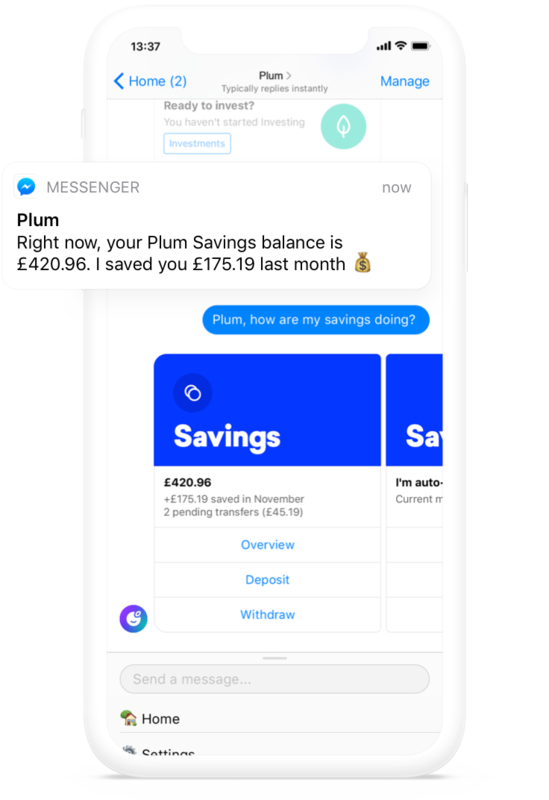 The AI assistant that grows your money. Save more, invest in things that matter and reduce those pesky bills. Sign up on Messenger in 2 minutes. Plum lives on Facebook Messenger, alongside your friends. 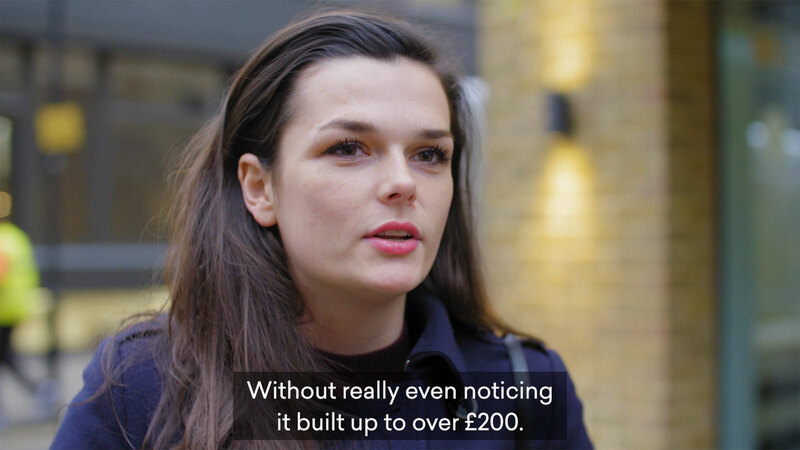 Plum analyses your transactions daily to learn about your income and spending. 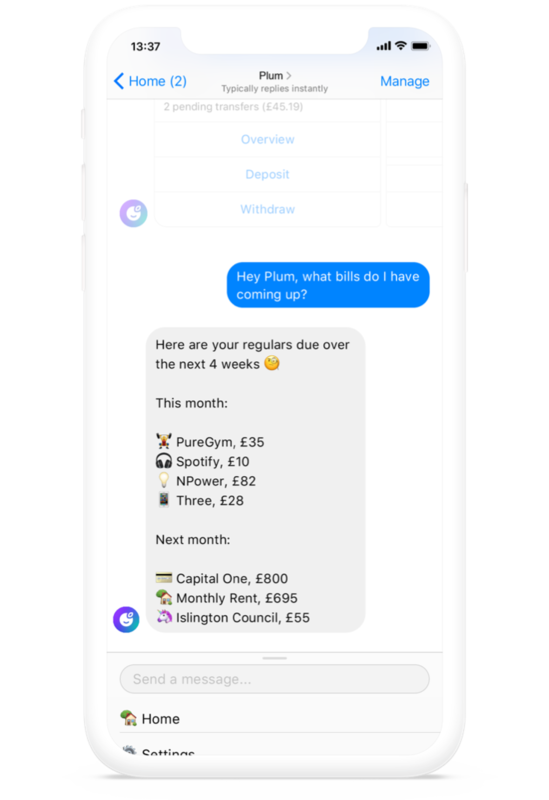 Plum helps you save more, invest and stops you being overcharged on bills. Own a piece of Google and Apple, ride the wave of emerging markets like China and Brazil, or back socially responsible companies ðŸ“ˆ Capital at risk. When it comes to money, there's no room for compromise. We've built Plum from the ground up with your security and privacy in mind. Got a problem? Chat to our lovely team directly in Plum. Alternatively, you can email or call us. We're an Appointed Representative of Resolution Compliance Limited. Our customer support team is ready to help you, Monday to Saturday. We never share your data with any other parties without your consent. Auto-save, reduce your bills and become money-wise. All the Plum you love, plus Investments (and more to come). 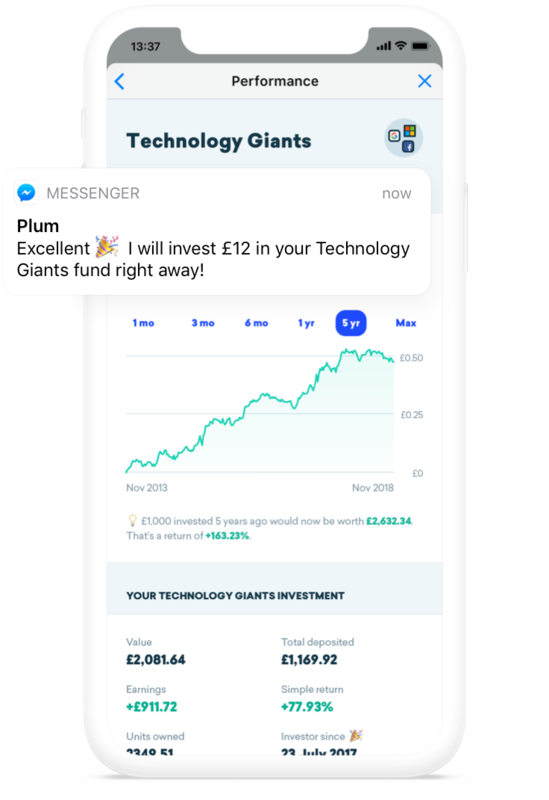 Sign up on Facebook Messenger in less than a minute and join thousands of people on their way to reach their financial goals. 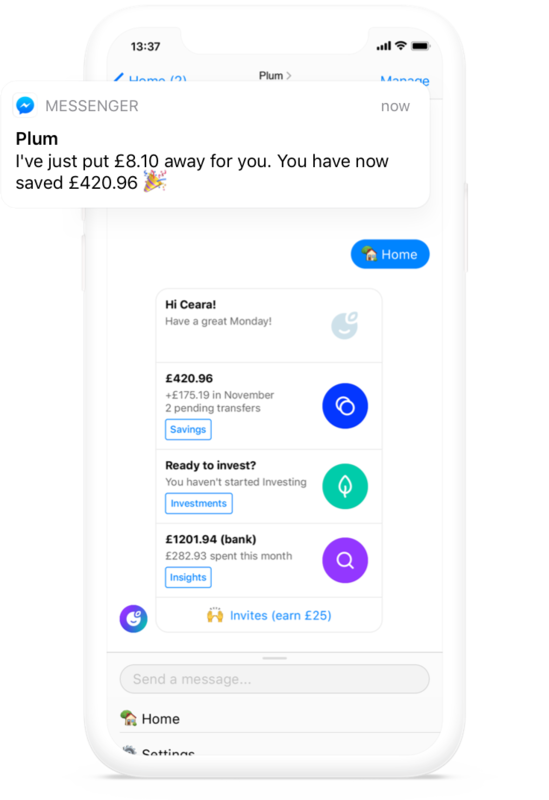 Plum is a trading name of Plum Fintech Limited which is an appointed representative of Resolution Compliance Limited which is authorised and regulated by the Financial Conduct Authority (FRN: 574048). Resolution Compliance Limited is registered at 12-16 Addiscombe Road, Croydon, CR0 0XT, UK. Come say ðŸ‘‹ at our office on Floor 3, Workhouse One, 6-8 Bonhill Street, EC2A 4BX, London.